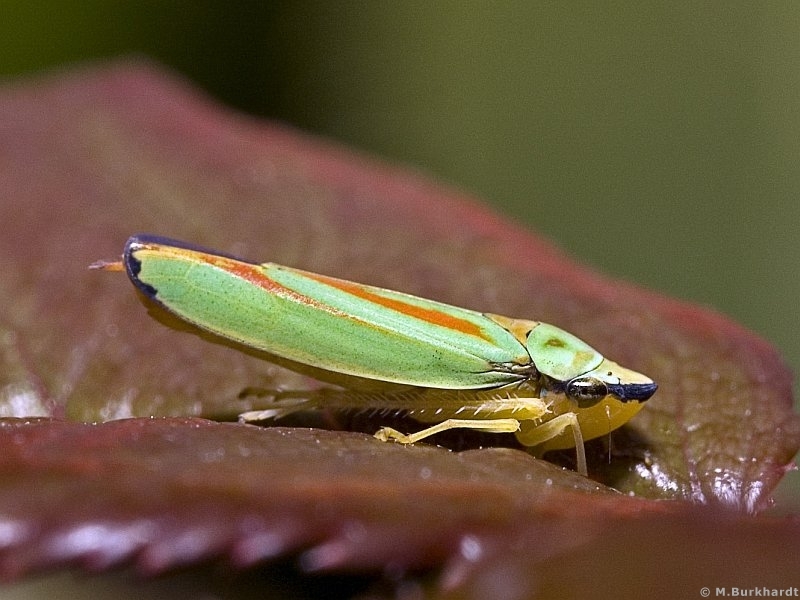 This small (about 8mm) colorful guy I found at a rose-leaf in our garden. They grow up only on Rhododendron - the imagines could be watched on leafs taking a sunbath. If they are scared, they try to crouch on the downside of the leafs.